Big News in the past week is that Alfa Romeo will now be the named entrant for the latest Sauber F1 car, building on the sponsorship arrangement that first saw the light of day in 2018. So relatively successful was this that Alfa’s management, with the backing of the FCA board, decided to go further. The chassis number of the new car was supposed to be an Alfa Romeo one rather than C38 that would have been a Sauber but oddly that has not yet been confirmed. Also unlikely is that the Ferrari V6 engine will be re-badged which, if it happened, would go much further towards persuading us all that this is a true Alfa Romeo. Nonetheless, I think they have done the right thing with the rest of the plan and I was surprised how many people with little interest in Formula 1 seem to have noticed pictures of the big Alfa logo on the engine cover of last year’s car. We all know that the contracted drivers – Kimi Raikkonen and Antonio Giovanazzi – should be a strong team. Kimi with one world championship and 21 wins under his belt from 291 starts is a known quantity and very enthusiastic about his new role, away from the constricting life at Ferrari. He also lives not far from Hinwil, Sauber’s base, and has been in the factory on several occasions over the past couple of months. Giovanazzi only has 4 starts to his name but has been around in F1 long enough to know what is involved and spent the past couple of years as one of Ferrari’s much valued simulator drivers. He is also not overawed by what Charles Leclerc achieved at Sauber in 2018. The Alfa Romeo Team’s big strength, however, lies in the ability of vastly experienced Team Principal Fred Vasseur to build, expand and bring the best out of his engineering group to meet FCA’s expectations. Simone Resta (ex Ferrari) and Luigi Furbatto (ex McLaren and other teams) have designed the car, with arerodynamacists Enrico Cardile and David Sanchex and much to the fore, and we are told to expect a few unusual and original features when its breaks cover at Fiorano a few days before its first public appearance at Barcelona on February 18th. 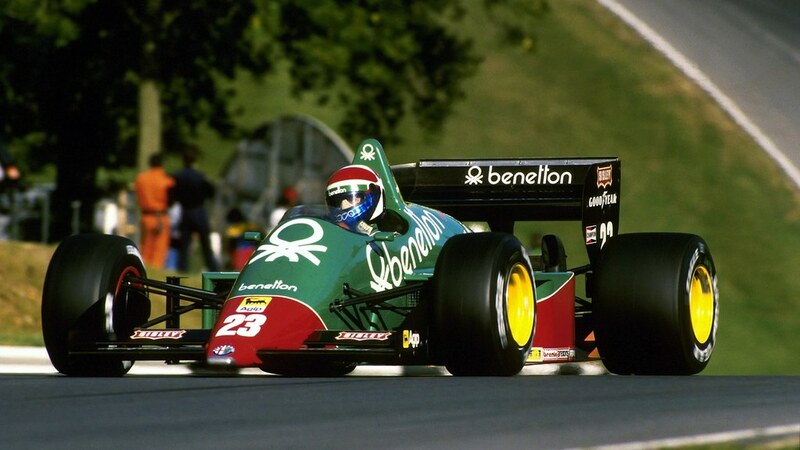 Of course, looking back over Alfa Romeo’s long racing history, this will not be the first of occasion that their name in Grand Prix racing has not been carried by a team based in-house. Scuderia Ferrari in the 30s upheld the fortunes of Alfa Romeo but a Portello based competition department took over in 1938, sending Enzo Ferrari back to Modena, and would continue when racing resumed in 1946. Alfa’s 158s were the dominant cars in 1947 and 1948 with drivers such as Jean-Pierre Wimille, Achille Varzi and Carlo-Felice Trossi at the wheel but there were nowhere near as many Grand Prix in those years as there are worldwide today. Alfa chose to miss 1949, to return for newly inaugurated World Championship in 1950 and this is where I first saw the three Fs – Fangio, Farina and Fagioli plus guest driver Reg Parnell – for the first time. I still have my prized Silverstone Stowe Grandstand ticket = £1-10-0 quite a lot then. 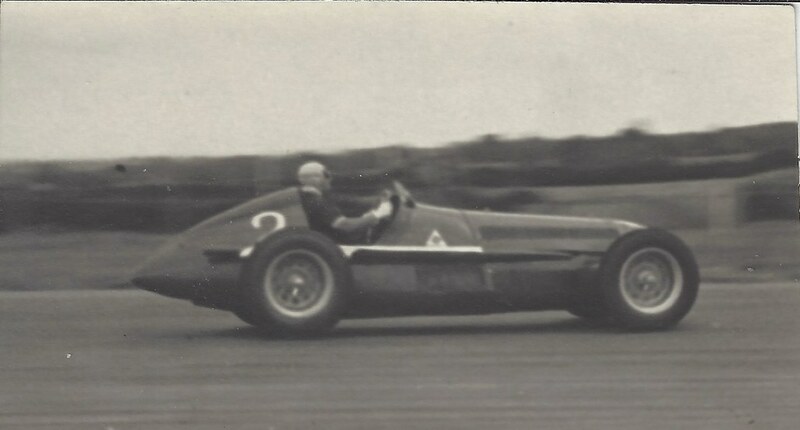 Alfa won the 1950 and 1951 Championships but then withdrew and it was not until 1979 that Carlo Chiti, whose Autodelta was now the official competition department, was able to persuade the open minded company President Luraghi to allow the building of a Formula 1 car. Autodelta had already been providing engines to Brabham, with some success, but this was something new. The following year, the whole project was developed into a full scale two car team and this continued in 1982, Bruno Giacomelli oh-so-nearly winning the US Grand Prix at Watkins Glen. And then, “politics more politics” is how I descrbed it more than once in the AROC magazine as new President, Ettore Massacesi, engineered the arrival of ex Ligier designer Gerard Larousse whose machinations edged Chiti into a new role at Autodelta while Marlboro persuaded Alfa to outsource the racing department to a small team with no F1 experience – Paolo Pavanello’s Euroracing. Larousse eventually left after a row and the end was in sight for Chiti, for although Autodelta continued to build the engines, the final chassis were in the hands of Euroracing. The result was pretty disastrous as drivers Riccardo Patrese and Eddie Cheever found out in 1984 and 1985. The Benetton sponsored car looked pretty but that was all. 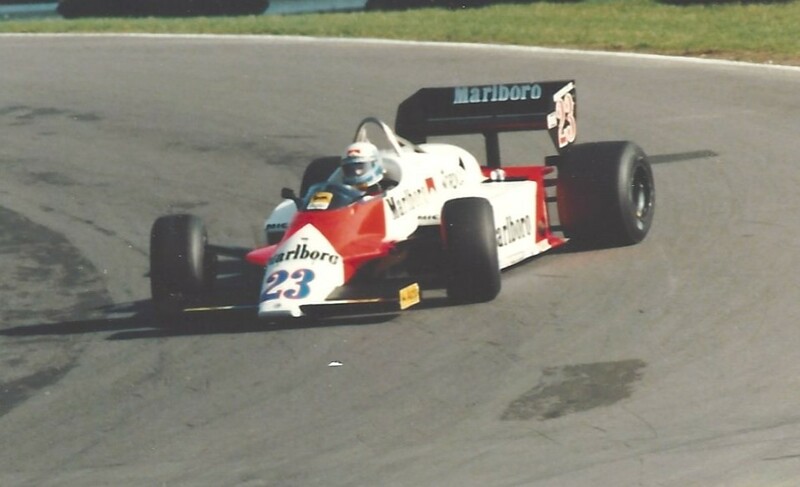 After that, apart from an engine deal with Osella, it was all over. 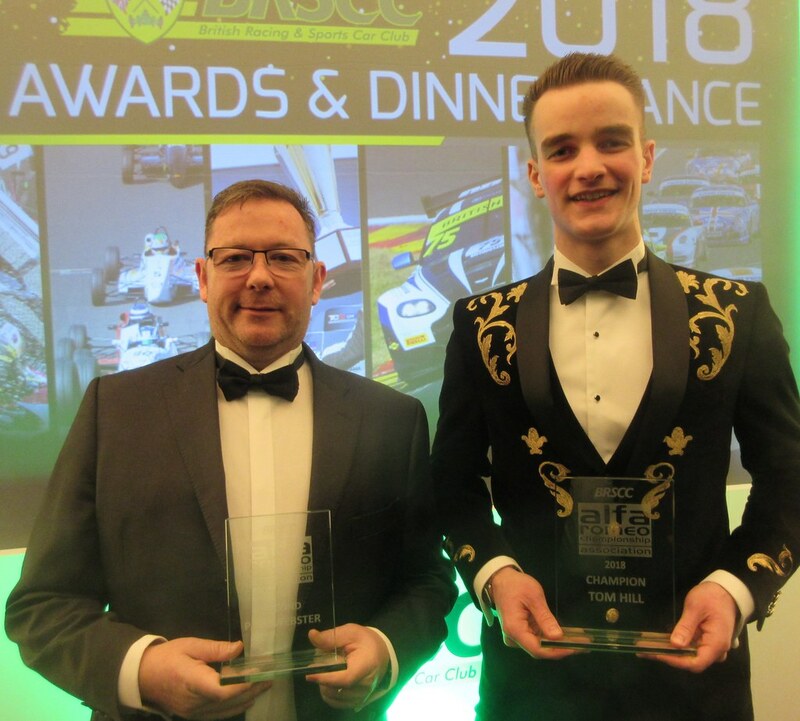 I can but hope sincerely that 2019 politics bear no resemblance whatsoever to those of the early 80s and that the lessons will have been learned, although in motor racing terms, it was a long time ago. Team Mulsanne and Romeo Ferraris have announced that their second World TCR Giulietta will be driven by the experienced 31 year old Chinese drivers Ma Qin Hua. He will link up with the already signed Kevin Ceccon for a full season that will start at Marrakech on 7th April. Meanwhile, Danish lady racer, Louise Frost plans to make her Scandinavian TCR debut in a Giulietta run by Insight Racing. She started racing in 2017 in the Citroen DS3 Denmark, taking one win, while also competing in a couple of endurance races. Insight already has experience of TCR machinery having previously run a Honda Civic. The Picture in Friday Fix 79 aroused some interest and I remembered that I had a book by the photographer A.F. Rivers Fletcher, so I went to see if there was more about it in there – and indeed there was! First of all it put me right on the location of the event which was not on an old wartime airfield but on roads that had been built for a new housing estate which the developed allowed Rivers and his many racing friends and colleagues to use for one day before any houses had actually been built! It had been decided that it would not be a competitive event in the accepted sense and those allowed on the course would be limited to around 30 with no official times being taken. Apart from the Alfa shown in the last Friday Fix, there were Bugattis, ERAs, a 1914 Grand Prix Mercedes, a 5 litre 1919 Ballot, V12 Lagonda and much more. 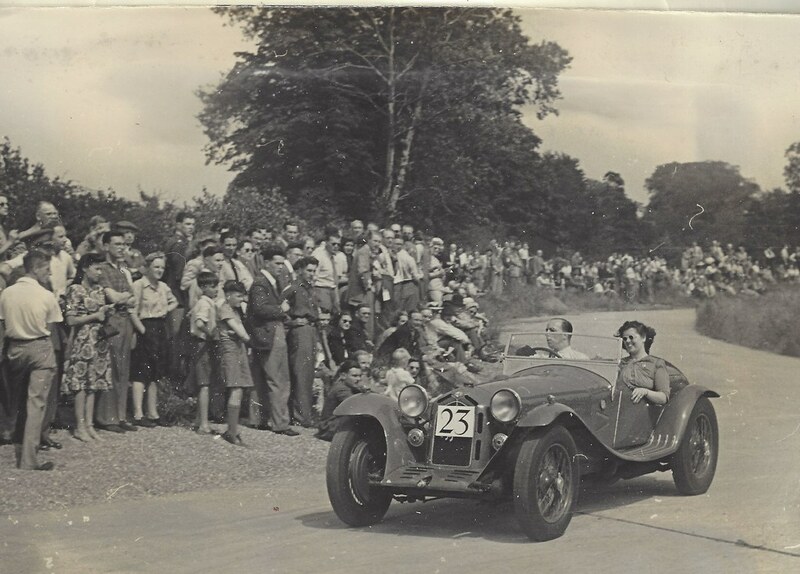 As I was putting the finishing touches to this Friday Fix, I received this week’s “Autosport” which contained an interesting article by long-time motor racing journalist Robert Fearnley on Jean-Pierre Wimille – referred to above – who was Alfa Romeo’s lead driver in the years 1946 to 1948. Fearnley had done some calculations based on the original World Championship points structure which showed that Wimille would have been World Champion in 1947 and 1948. As already mentioned, Alfa withdrew for the 1949 season in order to prepare for the start of the new World Championship in 1950 and it is pretty certain that Wimille would have been one of the team’s drivers, joining Fangio, with whom he already had a great rapport and Farina. Sadly, he was killed in Rosario, Argentina, when the little Gordini he was driving overturned and hit a tree in circumstances that have never been fully explained. At the age of 40 – young for a Grand Prix driver in those days – it was a tragic loss. The ever popular Race Retro will be again be held at its usual venue, Stoneleigh Park in Warwickshire, from the 22nd to 24th February. It is worth looking on their website for the list of exhibitors and I notice that our good friend and championship competitor, Cip Nistorica, will be there with one of his impressive Turatello covered trailers. I always enjoy walking round the “jumble” area in the attached barns – but beware, there are always too many things to spend your money on! Spring Alfa Day returns to the National Motor Museum at Beaulieu on Sunday, April 14th. National Alfa Day goes to a new venue, Bicester Heritage, on Sunday June 30th.